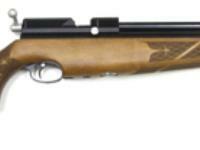 The S400C Carbine offers the lightest weight and most agile maneuverability. 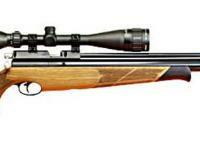 The quick-firing, easy-loading bolt-action has a super-efficient valve system perfected by Air Arms. It delivers a greater number of shots per charge. 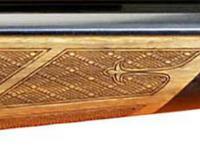 The 12-groove Lothar Walther barrel ensures accuracy. 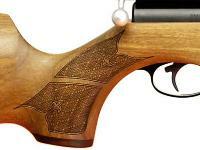 The 2-stage adjustable trigger lets you adapt the gun to your shooting preference. There's also a quick-release charging connector so you can spend more time shooting and less time fiddling! 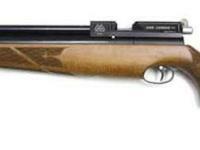 Manufactured with a wealth of experience and in a state-of-the-art manufacturing plant, Air Arms rifles are considered some of the finest in the world! No sights! 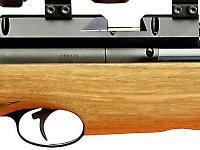 Remember to order a scope & mounts! Click on the AMMO link for suggested pellets and the ACCESSORIES link for targets, scopes, mounts & more. Things I liked: What I like about the S400 C is Short, light weigh, and the accuracy is also great. Things I would have changed: I wish it has more power and quieter. This model S400C is louder and less power than the S400E. What others should know: The bold action is too loose I wish it can be locked in the "fire" position just like the real fire arms' bold action do. Things I liked: Nice looking and accurate weapon. Easy to use and maintain. The item arrived well packaged and un-damaged. Things I would have changed: I bought the 0.177 caliber model. I had called Pyramyd Air before placing the order and was told that the maximum velocity would be 1100 fps in 0.177. 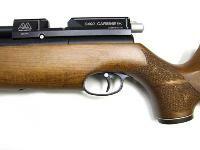 The gun that was shipped to me was a 12 ft/lb UK model doing only 750 fps. 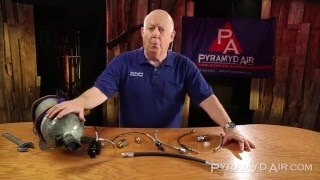 This was very disappointing and I did not expect this from Pyramyd Air. What others should know: This model is the 12 ft/lb model this is not mentioned in the above description. Things I would have changed: needs power adjustability and although I wouldn't call it loud by any means, I wish it were shrouded.